Two sets of Massachusetts legalizers get the go-ahead for signature gathering, Denver activists will negotiate with the city over social marijuana use, Hillary Clinton unveils drug policy proposals, DC HIV infections drop thanks to needle exchanges, and more. Two Competing Massachusetts Legalization Initiatives Okayed for Signature Gathering. State Attorney General Maura Healey last week approved the competing initiatives, one from Bay State Repeal and one from the Marijuana Policy Project-backed Campaign to Regulate Marijuana Like Alcohol. Click on the group links to read the initiatives. The groups must collect 64,750 valid voter signatures by November to qualify for next year's ballot. ResponsibleOhio Supporter Sues Secretary of State Over Sweeping Election Fraud Investigation. An unnamed individual has filed a federal lawsuit against Secretary of State Jon Husted (R) over his investigation of alleged electoral fraud in the ResponsibleOhio signature-gathering campaign. The suit argues that the probe will have a chilling effect on First Amendment rights of Ohioans who support the legalization effort and seeks an injunction to halt the investigation. Husted subpoenaed various ResponsibleOhio records, including "documents or electronically stored information related to or reflecting names of persons who created usernames and passwords to download petitions" from the group's website. Albuquerque Decriminalization Effort is Back. Two city councilors, including council president Rey Garduno, filed a municipal decriminalization ordinance last Friday. They also filed a measure to make possession violations the lowest law enforcement priority. The council voted 5-4 last year for a decriminalization ordinance, only to see it vetoed by Mayor Richard Berry, who is still there. A vote is expected on September 21. Denver Social Use Initiative Withdrawn; Organizers Seek Negotiated Deal With City. The Campaign for Limited Social Use, which submitted more than 10,000 signatures for a measure that would allow marijuana use in businesses only open to adults, has pulled the initiative before it could be certified for the ballot, saying it instead prefers to negotiate an agreement with city officials. The successful signature-gathering campaign should help the group in the negotiations. Oklahoma ACLU Releases Seizure Data Report. The state affiliate of the ACLU has released a report showing that nearly two-thirds of all cash seized under state asset forfeiture laws was seized from people never charged with -- let alone convicted of -- a crime. The report comes as the legislature ponders a bill that would reform or eliminate civil asset forfeiture. 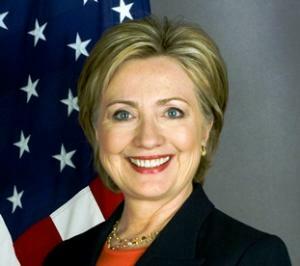 Hillary Clinton Releases Drug and Alcohol Policy Proposals. The Democratic front-runner is calling for $10 billion in new federal grants to fight drug and alcohol addiction, which she called "a quiet epidemic" in the country. She identified five goals: better drug education for teens, increasing the availability of drug treatment, increasing naloxone (Narcan) access, broadening drug and prescription monitoring programs, and emphasizing treatment over prison for low-level drug offenders. Click on the link for more details. Illinois House Overrides Governor's Veto of Heroin Treatment Funding. The House has successfully voted to override Gov. Bruce Rauner's (R) veto of parts of the Heroin Crisis Act. The override attempt now moves to the state Senate. Rauner vetoed sections of the bill that would offer Medicaid services to some heroin users, saying the state couldn't afford it. DC HIV Infections Drop Dramatically With Needle Exchange Programs. The average monthly rate of new HIV infections in the nation's capital dropped by 70% after the District implemented a needle exchange program in 2008, according to a study released last week by George Washington University's Milken Institute School of Public Health. The program prevented 120 new cases of HIV/AIDS, saving the city some $44 million over just two years, the study found. Mexican Opium Production on the Increase. Officials in both the US and Mexico are saying that Mexico's opium production jumped by 50% in 2014 alone. The increase is being tied to rising levels of heroin and opiate addiction in the US, but also to marijuana legalization in some US states -- legalization is pushing down the price of marijuana in Mexico, making opium poppies a more attractive alternative. Much more at the link. Mexican Judge Okays Use of CBD Cannabis Oil for Epileptic Girl. A Mexico City administrative law judge has approved the use of CBD cannabis oil to treat Graciela Elizalde Benavides, an eight-year-old girl suffering from epilepsy. The judge ordered federal authorities to allow the girl's parents to import the drug. It's not clear when that will actually happen. Bulgarian Member of Parliament Will File Medical Marijuana Bill. Independent lawmaker Velizar Enchev has announced he will introduce a medical marijuana bill this month. "Thousands of people are suffering in Bulgaria," he said. Last month, he launched a petition drive to gage support for medical marijuana. That petition now has some 3,730 signatures. Earlier this year, a judge acquitted a multiple sclerosis patient accused of growing his medicine, saying "numerous international studies" had proven the efficacy of medical marijuana.